Blake Jackson is a co owner and VP of the Ugly Bug Fly Shop and Crazy Rainbow Fly Fishing and Wing Shooting, the 2014 Orvis outfitter of the year. Blake was raised in Glenrock Wyoming and was introduced to the sport of fishing by family at a very young age. It didn’t take long for him to realize that fishing was more than a hobby; it was a passion that he wished to share with others. Blake started his guiding career in Bozeman Montana working legendary fisheries such as the Yellowstone, Madison, Gallatin, Missouri and Big Horn Rivers. However, Wyoming kept calling and Blake now enjoys guiding Wyoming’s great fisheries The Miracle Mile, Grey Reef and Fremont Canyon. He has also been spotted pulling the flats boat around local reservoirs chasing Carp. He also oversees our destination travel and loves to share stories about past and future adventures with the Ugly Bug and Crazy Rainbow team. 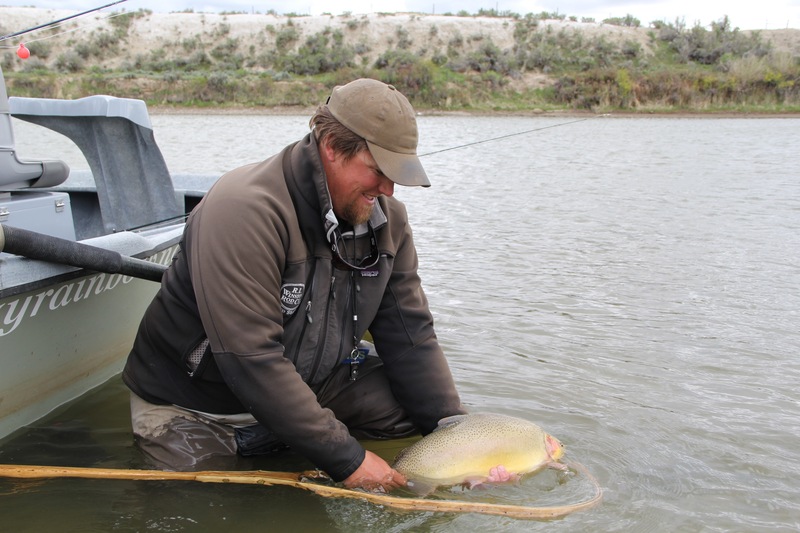 He has presented at multiple sports shows including The Great American Outdoor Show and enjoys presenting to local fly-fishing groups about destinations, fly tying and his love for Wyoming fishing. When not fishing Blake can be found hunting big game and spending time with his wife Marguerite and daughters Story and Ida.